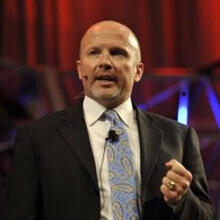 Kody Bateman is the Founder and CEO of a highly successful international Network Marketing company, which was featured in the 2009 INC. 500 List as one of the fastest-growing companies in the United States. From the beginning, Mr. Bateman anchored his Network Marketing company with an ongoing personal development focus and program, and over the past eight years he has personally conducted that event for sold-out audiences throughout the United States, Canada, and Australia. Mr. Bateman teaches that the activities of your subconscious mind must be in alignment with your conscious desires in order for you to succeed. He is known for saying, "The stories in your mind become the stories of your life." His seminars teach people how to get rid of unwanted stories in their minds and replace them with stories for success. 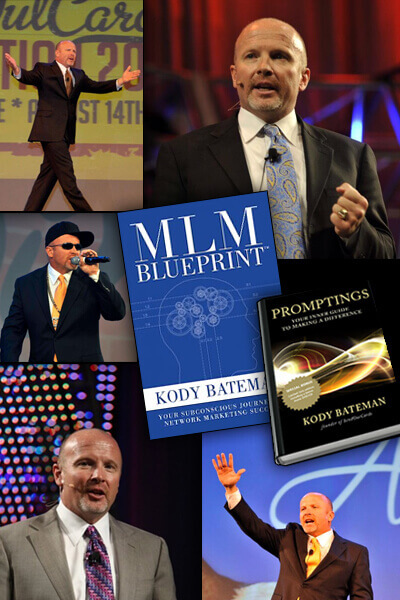 Kody Bateman, in addition to leading his rapidly expanding company, is also the author of the popular motivational book Promptings and his book, MLM Blueprint. Kody Bateman believes everyone has an "MLM blueprint" in their minds, developed from years of subconscious exposures to Network Marketing. These exposures combine to create a blueprint that either propels people to Network Marketing success or holds them in failure. This landmark book will help you understand why you feel about MLM the way you do, delving deep to help you discover, cleanse and strengthen your MLM blueprint for massive MLM success. Kody Bateman has also written and produced several inspirational songs and music videos. He is a visionary leader who is living his dream and travels the world teaching others to do the same.